Where? Trafalgar Square, London, and online live video at www.oneandother.co.uk. “The Sky at Night” co-presenter and co-author of “Bang! 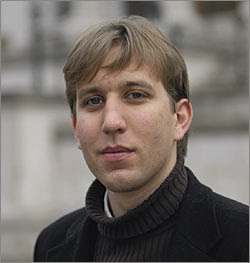 The Complete History of the Universe”, Chris Lintott, FRAS, plans to hold a live radio-meteor/astronomy demonstration on the fourth plinth in Trafalgar Square for one hour, as part of artist Antony Gormley’s “One & Other” project. I feel honoured to have been asked by Chris to provide some technical assistance with this project. The exact time that Chris will appear will be posted by 00h BST (23h UT) the night before. More information my homepage at http://www.tvcomm.co.uk/radio.